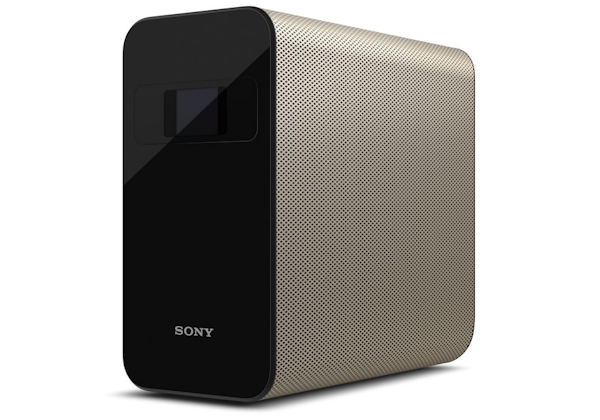 When Sony unveiled its Xperia Projector concept just over a year ago, I was immediately fascinated by the product. It's one of several bets placed by the Sony Mobile team, under the leadership of CEO Hiroki Totoki, as the company seeks to diversify its business away from its almost total dependence on smartphones. Now fully commercialised and officially named the Xperia Touch, this Android-powered device projects a virtual screen of between 23 and 80 inches onto a surface, such as a table, or onto a wall. Users can then interact with the projected image thanks to the device's 10-point multitouch capability. This gives the projector enough versatility for users to very accurately navigate the huge range of Android applications it provides. It even offers a level of sensitivity that allows users to play a virtual piano with all ten fingers. The Xperia Touch is due to go on sale in the first half of 2017. I've long believed that some sort of interactive table-top screen could make its way into people's homes, and this prompted a CCS Insight prediction that furniture with interactive screens would make this happen through "coffee-table computing". Our prediction didn't come to fruition, but the technology track that Sony is pursuing could deliver a spin on this concept. What struck me most about the Xperia Touch was the potential for projection technology to be integrated with Amazon's Echo or other interactive smart speakers. I'm a big fan of the Echo, but I can't ever see myself using it to buy anything other than products I'm very familiar with — typically ones I have purchased before. Buying a product unseen just doesn't work for me. However, the ability to ask a speaker to find me a product, have it shown to me and then selecting and ordering the product using simple touch controls makes a lot of sense. In my opinion, projection technology seems the natural evolution for smart speakers. Adding a physical display to a speaker requires too many compromises as the screen would either be too small or the device would become really bulky. I'm certain that Amazon, Apple, Google, Microsoft and others already have prototypes of this concept and the main challenge is most likely to be the cost. The Sony Xperia Touch is priced at €1,600 (about $1,700), making it far too expensive to become a mainstream consumer electronics device, but it could certainly offer a clue as to how we might interact with devices in our homes in the future.